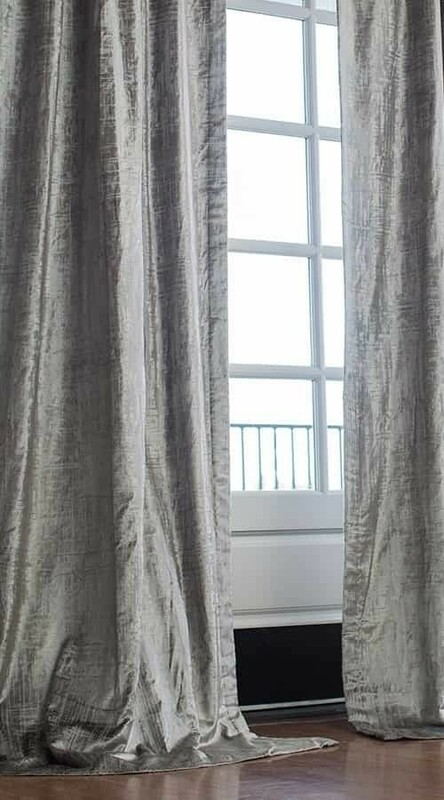 Moderne Drapery Panel (52x120) is made of Silver Velvet with Silver Print. 4" Rod Pocket at Top. Lined. Set of 2 Panels. Professional Dry Clean Only. Imported.